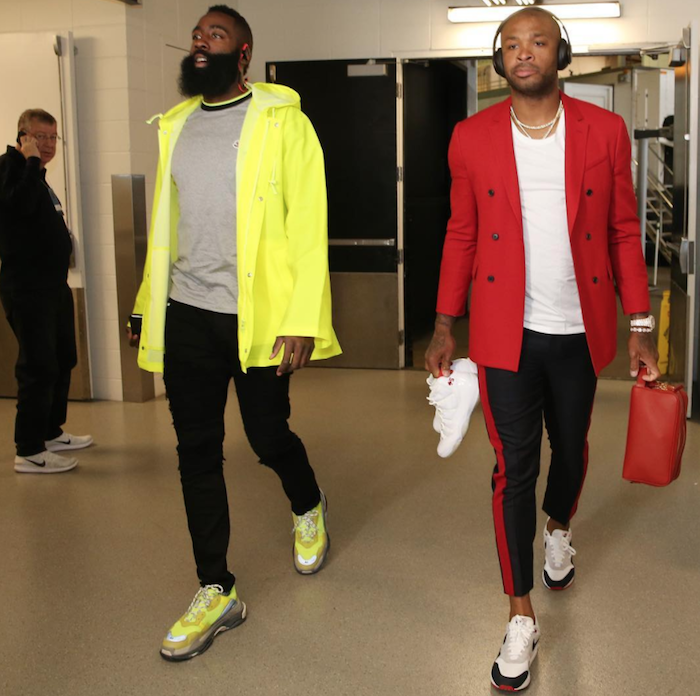 James Harden and P. J. Tucker strut into Game 3 of NBA Playoffs at Target Center. Clearly they are the Derek Zoolander and Hansel of the NBA. Harden's favorite Balenciaga sneakers are on point.